UP Police Bharti 2019 – Uttar Pradesh Police Recruitment and Promotion Board has issued notification for appointing candidates on Jail Warder and other Vacancies. 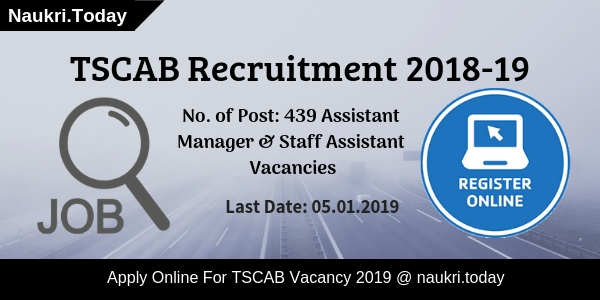 There are 3740 Vacancies are available for UP Police Recruitment 2019. Simultaneously, Participants should check here eligibility criteria for Jail Warder Posts. Apparently, The online registration is going to begun form 08 December 2018. Interested applicants can fill up their application form up to 28 December 2018. For further more information regarding application, etc. read below article carefully. Uttar Pradesh Police Recruitment and Promotion Board is going to conduct written examination for herring aspirants on 3638 Jail Warder Posts. Candidates may apply online from 08.12.2018 to 28.12.2018 for UP Police Jail Warder Vacancy 2019. Here our team provided you complete details about qualification, age, and application fee for UP Police Jobs 2019. 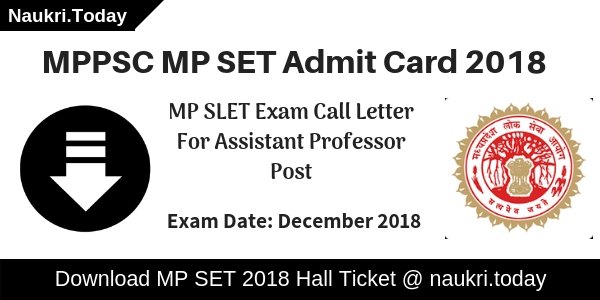 Candidates may download official UPPRPB Notification 2019 from links given here. 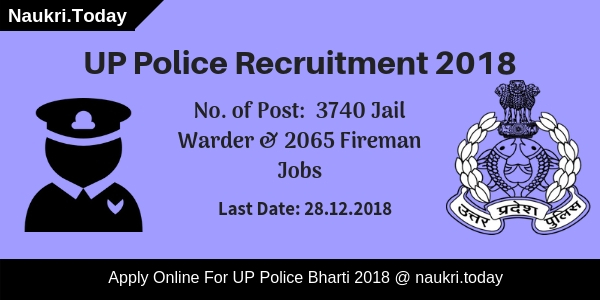 What Are The Important Dates for UP Police Jail Warder Jobs 2018? Candidates who are looking for police jobs in Uttar Pradesh, It is a great Opportunity for them. Interested participants should collect eligibility criteria details form given below section. Eligible candidates may fill up their application form before the last date. Applicants must enter all the details carefully in an application form for UP Police Recruitment 2019. Here we provided you link to apply for यूपी पुलिस जेल वार्डर भर्ती 2019. Candidates who are going to fill up application form for UPPRPB Vacancy 2019 must be 12th Pass from a recognized board. For further more details candidates may check official UP Police Notification 2018. Participants can download official Jail Warder Notification either from here or from official website i.e uppbpb.gov.in. The minimum age for General Category applicants is 18 years and maximum age is 22 years for Up Police Bharti 2019. Upper age relaxation is applicable as per government rule. The Department has provided you category wise age relaxation for UP Police Jobs 2018. 03 years of age relaxation is given to Schedule Caste or Schedule Tribe Category Applicants. And 05 years of relaxation is given to OBC Category participants. For more information about UP Police Jail Warder Bharti 2019 read official notification. The Department has set particular criteria of Physical Standard for Male & Female candidates. Minimum weight for Female candidates must be 40 kgs. Candidates should check height and chest measurements from given below table for UP Police Bharti 2019. Selection Process of Uttar Pradesh Police Department will take place in three stages. Firstly, applicants will appear for written examination for UP Police Bharti 2018. Afterward, Qualifying participants will take part in Document verification and Physical Standard. Candidates who get successfully pass in UP Police Vacancy examination will call for PET Test. For more information download official UP Police Notification 2019. here we gave you a link to download UPPRPB Notification 2019. Candidates have to pay Rs. 400/- as an application fee for UPPRPB Recruitment 2019. According to the pervious notification the department has set Rs. 200/- for an examination fee but now it will be extended to Rs. 400/- for UP Police Jail Warden Bharti 2019. An Application fee is not returned in any condition to the Participants. Aspirants can pay their application fee through Credit Card, Debit Card, and Internet banking for UPPRPB Vacancy 2019. Participants should follow these steps to apply for UP Police Bharti 2019. Interested applicants may check here qualification, age, and much more before applying for UP Police Recruitment 2018. Here we provided you links to fill up application form for UPPRPB Jobs 2019. After that search for UP Police Jail Warder Vacancy PDF at Homepage. Eligible Candidates may apply online form here. Enter all the information correctly in UP Police Bharti application form. Recheck your application form once again. After that pay your application fee through a suitable method. Applicants must keep one copy of application form with them for feature use. Conclusion: Uttar Pradesh Police Recruitment and Promotion Board Department has published notification for 3740 Jail Warder Vacancies. Interested Participants should check here eligibility criteria for UP Police Bharti 2019. For more details regarding UP Police Recruitment 2019 read the complete article carefully. U ttar Pradesh Police Recruitment and Promotion Board has recently released advertisement for filling up 2065 Fireman vacancies. Candidates those are interested and eligible for UP Police Bharti 2018 for Fireman post may apply through online mode. Correspondingly, the online registration will start from 08th December 2018. Moreover, Eligible candidates can fill UP Police Job Online Form till on 28.12.2018. This is a great opportunity for the candidates who are searching UP Police Recruitment 2018. Furthermore, like eligibility criteria, application fees, Pay Scale & others collect from below paragraphs. UP Police is inviting online application form for recruitment of 2065 Fireman posts. The department time to time published the advertisement for filling up various vacancies. UP Police Vacancy for Fireman Post online registration form is available from 08th December 2018. Applicants those are fulfilled eligibility conditions may apply for UP Police Fireman Bharti 2018 before the last date. Moreover, information such as how to fill UPPRPB Fireman Online Form? Important links & other you can get to read out full article carefully. Applicants who wish to apply for UP Police Bharti 2018 must fulfill eligibility criteria. They should read the given below details of education qualification, age limit & others. Before going to fill UP Police Fireman Job Application Form candidates must ensure that they are eligible or not. The details of eligibility is mention on below article. Candidates must qualified 12th class or equivalent examination from the board established by Law of India. For more details, you may check UP Police Recruitment 2018 Notification. Participants should be completed minimum age 18 years as on 01.07.2018. The maximum age required for UP Police Bharti 2018 should be 22 years. Upper age relaxation will applicable as per govt. norms. Check UPPRPB Fireman Recruitment Notification 2018. Selection of the candidates will be made on the basis of written examination, document verification & Physical Standards. Those candidates have filled the UP Police Bharti Online Form successfully will call for written examination. Simultaneously, they will call for document verification and physical standard round. Final merit list will be made as per marks obtained in written examination and physical standards. The full information of written examination checks UP Police Exam Syllabus 2018. All categories candidates have to pay Rs. 400/- towards UP Police Bharti Application Fees. The fees should be deposit either through online mode or offline mode. After submission of application fees your UP Police Application Form will be accepted. Candidates those were applied for advt. No. PRPB-2-5(1) 2016 dated 20.12.2016 & 16.01.2017 are relaxed for application fees. They will pay Rs. 200/- for submission of UPPRPB Job Online Form successfully. For more details must read given below notification properly. Those candidates are selected for Fireman post will get an attractive salary. The pay matrix for UP Police Job is Matrix level –3. Applicants will receive Rs. 21700/- to Rs. 69100/-. Interested and eligible candidates may apply online for UP Police Fireman Vacancy 2018. If you are going to fill online application form then first you must have valid email id and mobile no. Applicants also collects Scan copy of photograph & signature. Now follow some given below easy steps to fill up UP Police Online Form. First of all, go to the official site upprpb.gov.in. Click on the link download UP Police Recruitment Notification for Fireman Jobs. Download it and read carefully to check eligibility & other details. Now click on Apply online for UPPRPB Fireman Bharti. Enter all required information on your UP Police Bharti Online Application Form. Make Payment of application fees either online or offline mode. Now recheck your UPPRPB Recruitment Application Form. Submit it and then take the print out for future reference. You can directly apply here for click on below link. Conclusion: Uttar Pradesh Police Recruitment And Promotion Board has announced recruitment for 2065 Fireman posts. Applicants those are interested and eligible for UP Police Bharti 2018 may apply through online mode. The UP Police Recruitment online application form is available till on 28.12.2018. Do you want to Apply Online for UP Police Constable Recruitment 2018-19??? If yes, then here is the latest information for you. Uttar Pradesh Police Recruitment Board has released notification for filling up 49568 Constable Vacancies. Applicants those are interested and eligible may apply through online mode only. UP Police Bharti 2018-19 Online Application form is available from 18th November 2018. Those candidates fulfill eligibility conditions may fill Uttar Pradesh Police Online form till on 08th December 2018. Furthermore, information such as eligibility criteria, application fees, How to apply for UP Police Recruitment 2018? & others are mention on below segment. UPPRPB is inviting online application form for filling up 49568 Constable Civil Police & Constable in Pradeshik Armed Constabulary vacancies. This is a great opportunity for candidates those want to career on police jobs. UPPRPB Bharti Online form is now available for you. If you want to apply for UP Police Jobs 2018, then you can fill the online form till on the last date. Rest information you can collect from below paragraphs. Fresh Update as on 29.11.2018: Dear Applicants, UP Police Online Application Form for 49568 Constable Vacancy is available till 08th December 2018. The direct link to apply online for UP Police Bharti is available at the end of the article. Applicant who want to apply for UP Police Recruitment 2018 must fulfill eligibility criteria also. The details of eligibility such as education qualification, age limit, PST, PET & others are mention on below segment. So if you are going to apply Uttar Pradesh Police Jobs 2018-19 must ensure that you are eligible or not. Those candidates are going to participate in UPPRPB Bharti 2018-19 must qualified Intermediate Examination or equivalent from recognized board. Furthermore, information such as UP Police Jobs for Constable education eligibility you can collect from below paragraphs. Participant Male & Female should be complete 18 years if they are going to apply for UP Police Constable Bharti 2018. Male applicants should not be more than 22 years as on 01.07.2018. Simultaneously Female candidates maximum age require for UP Police Bharti 2018 is 25 years. Upper age relaxation is applicable as per govt. rules. Weight — Minimum 40 Kg. Applicants selection will be made on the basis of the examination scheme. Participants must qualify all level examination of UP Police Bharti 2018-19. To check the scheme of examination & syllabus click here. No check the examination points you must qualify for Uttar Pradesh Police Constable Vacancies. Those candidates are selected for UP Police Bharti 2018-19 will also get the monthly salary. The applicant will release their salary as per pay scale Rs. 5200/- to Rs. 20200/- with Grade pay Rs. 2000/-. According to the new pay matrix, the salary will be for UP Police Jobs Rs. 21700/-. For UPPRPB Constable Recruitment 2018-19 the department is decided all categories candidates will pay the same application fees. The fees is Rs. 400/- for all category candidates. Applicants can pay their application fees either online or offline mode. Interested candidates those are fulfilling eligibility criteria also may apply for UP Police Recruitment through online mode. Before going to fill up UPPRPB Online Form applicants must have valid email id and mobile no. Participant also collects their scan copy of photograph & signature. Now they are following some easy steps to fill up UP Police Constable Recruitment Application Form. Download UP Police Constable Bharti Notification 2018. Read full advertisement carefully and check that you are eligible or not. Eligible Candidates now click on Apply Online for UPPRPB Recruitment 2018-19. Fill up all required information such as personal and educational. Upload your signature & photograph on UP Police Bharti Online Form. Recheck Uttar Pradesh Police Jobs Application Form carefully. Now submit your UP Police Vacancy Application Form. Conclusion: Uttar Pradesh Police Recruitment Board has released notification for employment of UP Police Bharti 2018-19. Those applicants are interested and eligible for UP Police Constable Recruitment 2018-19 may apply online from 18.11.2018 to 08.12.2018.